Am finally back… from my short trip to Phuket. Have loads to blog about but that will have to wait. Need to sort out my 200 over pictures first! haha. anywayz i had a good time. The beach was lovely and yes i came back with sun-kissed skin. My friends will know what i’m talking about when they see me. It was so indulgent. 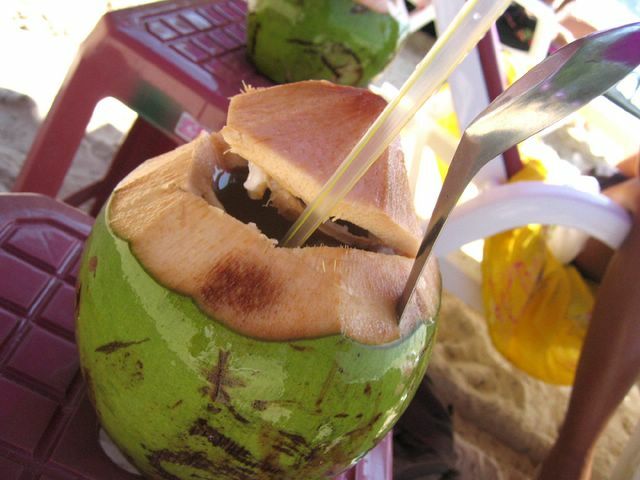 I felt so lazy just lying there on the beach sipping my thai coconut which was oh-so-sweet! i’ll leave you to guess what in the world that is. 🙂 meanwhile, time to get some rest and get ready for my kickboxing class soon. toodles! is that some sort of local salad? 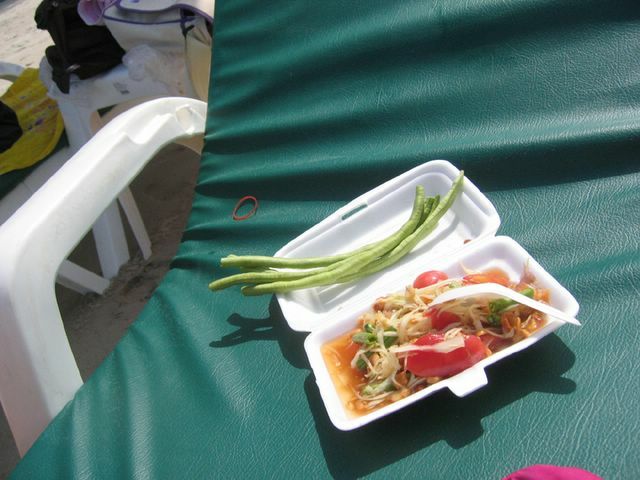 it’s either the thai green mango salad, or papaya salad, with raw long beans at the side. awwww. i miss phuket! and the food!